Late on the evening of September 26, 2014, roughly 100 students from the Raúl Isidro Burgos Rural Teachers College of Ayotzinapa traveled towards the city of Iguala with the goal of protesting what they viewed as discriminatory hiring practices held by the government. They planned to interrupt a conference featuring María de los Ángeles Pineda Villa, wife of Iguala Mayor José Luis Abarca Velázquez. They never made it to that conference. Allegedly at the orders of Mayor Abarca Velázquez, authorities intercepted the students en route and a violent scuffle ensued. Some students escaped. Six died at the scene. 43 were apprehended by police. Allegedly, Mayor José Luis Abarca subsequently handed the arrested students over to local gangsters. The students have not been seen since. Evidence suggests they were executed. These events demand global attention due to the horrific details. But they did not occur in a vacuum. The tragedy of Iguala was a mixture of federal irresponsibility and local collusion with organized crime–patterns still all too common in Mexico. 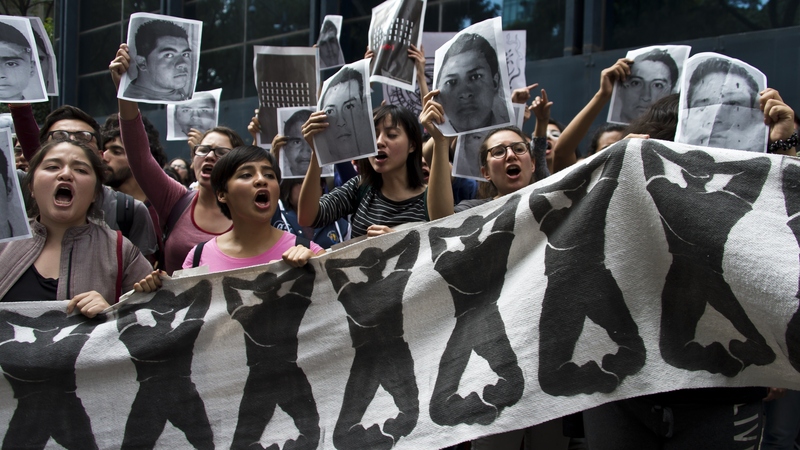 Mexico is in the thrust of a national crisis; and it is a crisis that is about far more than the 43 missing (and presumed murdered) student from Iguala, Guerrero. Violence, corruption and despair has effected tens of thousands of Mexican families that have suffered the loss of loved ones. In short, our country is facing an unprecedented drug-related human rights crisis. How we will emerge from this crisis remains uncertain. Our local and municipal governments have not only failed in stopping the drug cartels’ violence, but in many states and municipalities, it operates hand-in-hand with organized crime. Mexico’s Federal Government has proven reluctant or unwilling to remove authorities implicated in drug trafficking. Its strategy—in the most forgiving analysis—is completely insufficient for facing the wave of violence that has ended roughly 150 thousand lives since 2006, and has left other more than 20 thousand missing. President Enrique Peña Nieto (2012- ), arrived in office after promising to end this terrible violence. Thus far, he has failed to deliver. 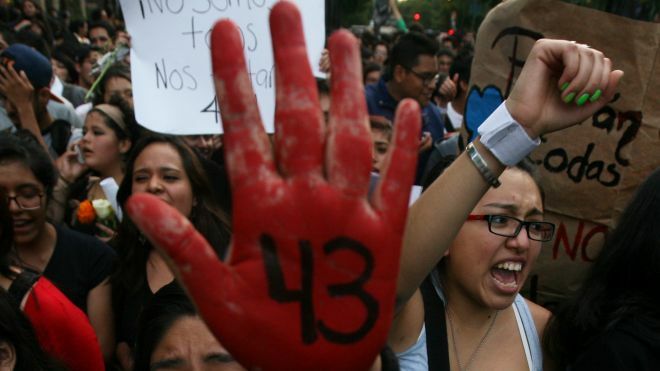 In the case of the 43 missing students, his government failed—repeatedly—to act in a timely manner. Despite having significant evidence that implicated Iguala’s mayor, José Luis Abarca, in three previous murders, our General Attorney failed to take action against him (this information was even available in the 2013 Human Rights Report issued by the US State Department). But Iguala was not an anomaly. Only days before, army personnel were implicated in a conspiracy to hide the murder of 22 people in Tlatlaya State. An international magazine featured a story that exposed one of the survivor’s testimonies. Soldiers had cold-bloodily shot the unarmed civilians. Our National Human Rights Commission later revealed that the local authorities tortured the survivors in order to get them to assert that the killings happened in the middle of a shootout between the army forces and victims. Officials also allegedly tampered with evidence of the shootings. On the day of the killings, México State’s Governor Eruviel Ávila Villegas, congratulated the army forces for the “success” of their operation, stating “The army, in legitimate self-defense, acted and terminated the delinquents”. Shortly thereafter, President Peña Nieto’s wife and actress Angélica Rivera was implicatedin financing the purchase of a US$9 million mansion with credit from a construction firm that was part of consortium that had won a US$5 billion state contract for a railway construction. President Peña Nieto canceled the contract on November 6 without any explanation. These three cases have made headlines around the world. But they are not unique, nor isolated. 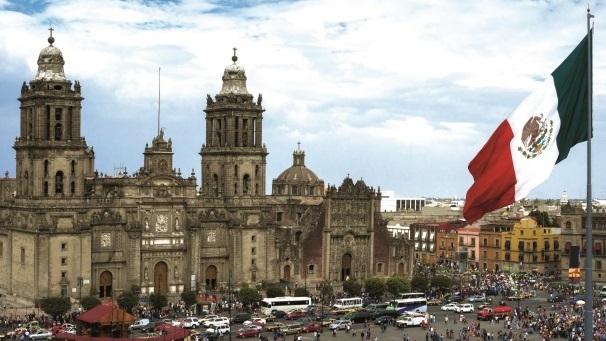 Mexico is world’s 12th biggest economy, with a population of around 120 million people. It is home to America’s largest city. The country has tremendous potential, but is must get back on track. For the time being, the answers are still missing. *Roberto Velasco-Alvarez is a Mexican lawyer and columnist, specialized in legislative and parliamentary affairs. He has worked for Mexico’s Federal Chamber of Deputies and for Mexico City’s Legislative Assembly, among others. He is a member of the Movimiento Ciudadano political party. This entry was posted in Mexico + Central America, Uncategorized and tagged 12, 22, 43, Angélica Rivera, Crisis, Enrique Peña Nieto, iguala, José Luis Abarca Velázquez., Latin America blog, Mexico, Tlatlaya State, tragedy, violence. Bookmark the permalink.